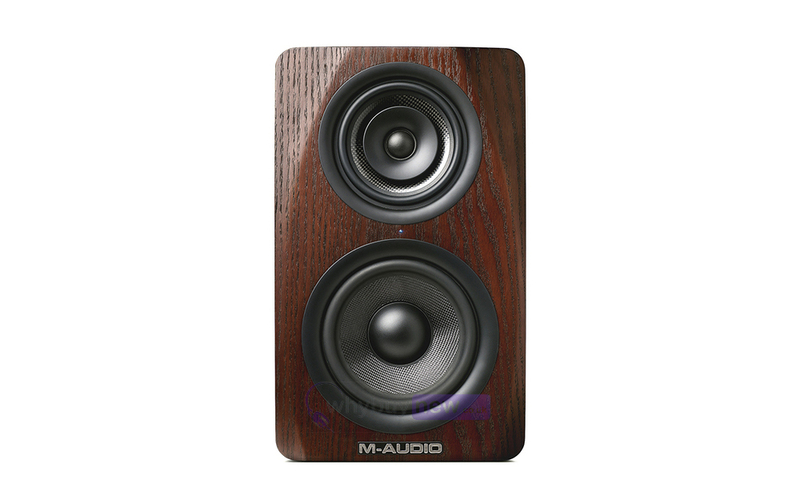 Here we have the M-Audio M3-6 Active Monitor Speaker in B-Stock. The B-Stock versions would have been on display at a training evening or trade exhibition only and will come boxed 'as new' with all accessories and a 1-year warranty. 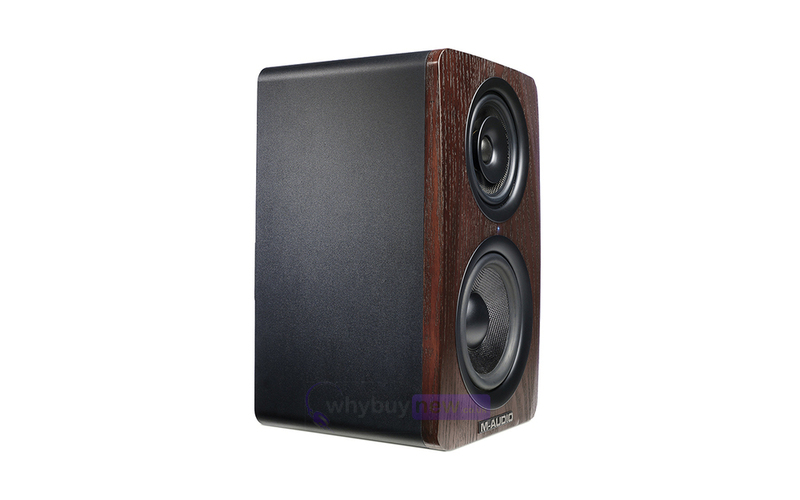 The M-Audio M3-6 is a three-way active studio monitor speaker featuring a stylish wood veneer front baffle with vinyl-laminated cabinet. 1. It plays louder. 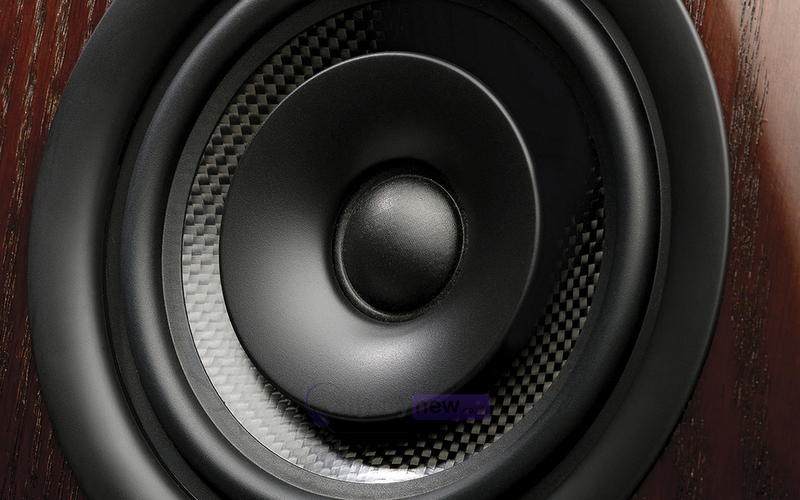 A midrange driver is typically four to five inches in diameter, meaning that the midrange driver can "move a lot more air" through the mid frequencies than a diminutive 1" tweeter. For the same wattage input, a five-inch midrange driver literally takes a "bigger bite" out of the air, which translates into more sound for the same input power. 2. It handles great amounts of power and is extremely reliable. Having a dedicated midrange driver means that the tweeter-which is the most fragile of speaker elements-does not have to struggle trying to reach down to the midrange frequencies, as tweeters must do in two-way systems. The crossover frequency specs tell the story: In a properly designed three-way speaker, the tweeter doesn't have to "enter the game" until around 4,000 Hz-well up into the treble region, which is not a frequency area that requires the current-heavy drive signals that can burn out a delicate tweeter. In contrast, the tweeter in a two-way speaker crosses over about a full octave lower-around 2,000 Hz-which puts it in considerably greater thermal and mechanical danger. The lower a tweeter crosses over, the more likely it is that you'll suffer tweeter failure from burnout or irreparable voice coil displacement from over-excursion. 3. The sound coverage (sometimes called "dispersion" or "radiation pattern") is extremely wide and consistent. This is critically important in a studio monitor-you have to have wide, even, consistent sound coverage so you can hear your mixes with clarity and detail, even if you're standing a little off to the side ("off axis") of the speaker. 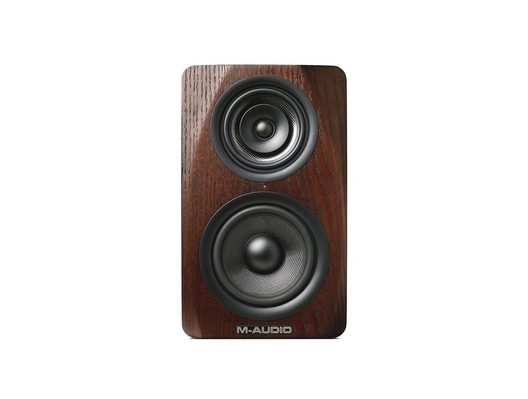 The M3-6 uses its drivers only in the frequency range where it has very wide-angle dispersion. 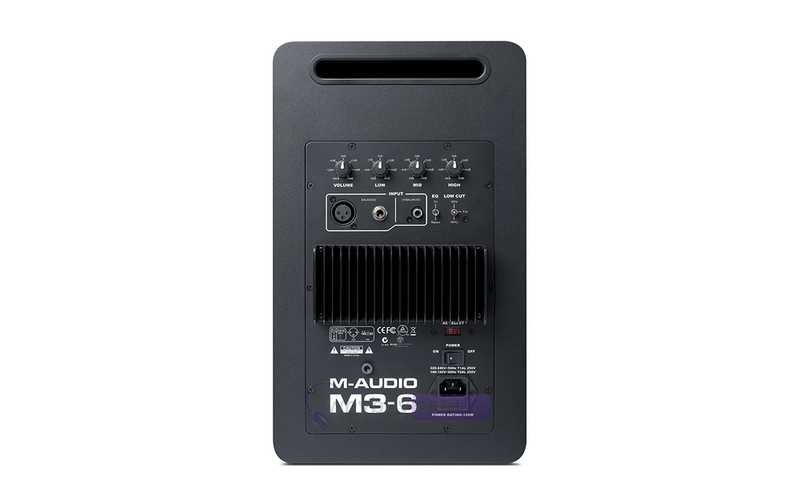 Best of all, the space-saving M3-6 Studio Reference Monitor delivers its truly spectacular three-way sound from the same compact cabinet size as a standard two-way monitor. In the sophisticated design of the M3-6, the midrange and tweeter are mounted in-line with each other (the tweeter is actually mounted at the apex of the midrange) at precisely the same point in space. Doing so means the sound of the two drivers integrates perfectly, without the "time/arrival distortion" of conventionally-spaced drive units. Instead, with the M-Audio M3-6, the all-important midrange and treble information reaches your ears at precisely the same time, delivering the ultimate in detail and clarity. 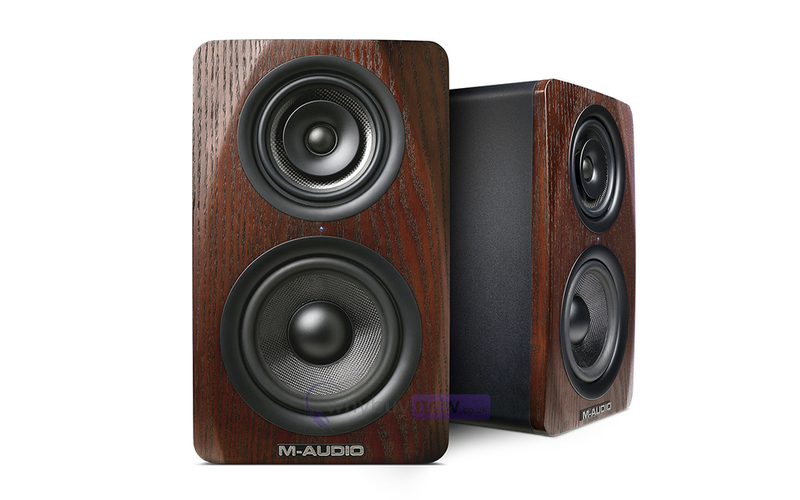 No speaker with conventionally-mounted drivers can equal the M3-6's incredibly natural, three-dimensional sound field. Your mixes sound real, and you can make very confident, precise adjustments to your recordings. That's what a great monitor is supposed to do for you. Kevlar® is an ideal driver diaphragm material: Incredibly strong, stiff and light (it's used in military body armor!). Used in both the M3-6's 6" woofer and the 5" midrange, giving those units an incredibly fast transient attack, excellent sensitivity and great resistance to cone flexing and resonant breakup at high power levels. Loud, strong and fast-perfect monitor characteristics. The 1" woven silk dome tweeter uses Ferro-fluid voice coil cooling for added reliability at studio power levels and this tweeter imparts virtually no harshness or "listening fatigue," as is often the case with metal dome tweeters. This is extremely important to the recording engineer who spends hours in the studio, listening to his mixes, relying on his unfatigued hearing to make subtle adjustments. Additionally, the tweeter is mounted in an integrated waveguide, which precisely focuses and directs the treble energy into the listening field, ensuring a solid and stable sonic image and minimizing the random acoustic "scatter" that would distract from properly evaluating the recording's playback. Finally, the attractive real wood-veneered baffle is chamfered at the top edges to aid in dispersion and reduce audibly-destructive edge diffraction. The optimized the cabinet's internal bracing ensures that the drivers have a solid, vibration-free platform from which to launch their sound, and computer calculations determine the port's characteristics for the best possible bass response. Three individual internal amplifiers provide power to each of the three speaker elements. These amplifiers are specifically tailored to the drivers they are matched with, for smooth operation and system synergy that is virtually impossible to equal using outboard amplifiers and passive speakers. A total of 160 watts of Class AB amplification empowers the M3-6 with ample headroom for even the loudest mixes. The carefully-selected crossover points divide the frequency spectrum into very precise bands so that each individual driver only handles the exact frequency range where it is most accurate. The powerful three-band (LF, MF, HF) EQ gives you the flexibility to shape the sound to match your listening environment. The switchable low-cut filter is perfect for tailoring the M3-6's bass response for use with a subwoofer, like M-Audio's BX Subwoofer. Pinhole-mounted blue LEDs provide an easy-to-use visual aid for perfect speaker placement. The result of all these innovations and thoughtful design touches is an outstanding studio monitor speaker able to perform at a far higher level than the typical monitor-even in the most critical listening environment. Your mix is only as good as your monitor. Don't settle for less than the best.